Are you visiting the Bay Area and need an East Bay Car Service? To or from all the major Bay Area airports, Bay Area Car Service will pick you up and ensure you arrive at your destination on time. Our staff of dedicated and experienced chauffeurs are all eager to serve all of your East Bay car service needs. Our chauffeurs know the Bay Area like the back of their hands, and will get you to and from the San Francisco, Oakland or San Jose Airport comfortably, safely and on-time. Even better, you won’t have to pay for expensive taxis or share a ride with a half-dozen other travelers. Here’s something to think about – how much does long term parking cost? How much much does our service cost? Give us a call to discuss your options at 1.800.380.9788. If you drive yourself, you have to deal with parking your car in an airport parking lot, and then remember where it was when you get back. Do you realize that you’re parking at your own risk as well? Why stress about that when you can relax and let our East Bay car service chauffeurs take you right to the terminal? Any time of day or night, we can pick you up from your doorstep or the airport, ready to shuttle you around the East Bay. All we need is 24-hour advance notice and one of our courteous chauffeurs will be waiting for you, door open and ready to chauffeur you. Why take an East Bay taxi to SFO, Oakland or San Jose when you can ride in one of our luxury sedans or SUVs, with a friendly, professional chauffeur behind the wheel. 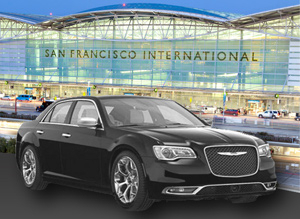 View our SFO Car Service page for more info. Our East Bay Car Service is a direct, private and a nonstop airport transportation service. That means we only pick you and your party up, with no other stops. No dealing with other customers and their luggage, stopping all over the area before finally getting you to your destination. Using our private shuttle service saves time and is the best, most affordable way to travel to and from your East Bay home, directly to the San Francisco, Oakland or San Jose airports. With a reservation with our East Bay Car Service, you will never have to wait for a taxi or shuttle. We’ll pick you up at your most convenient time and transport you directly to your destination. Impress your clients, friends or date with our East Bay Car Service! Need transportation for a special event in the East Bay, such as formal galas, parties or weddings? Or if you are flying in to the East Bay for a vacation and need transportation to all of the sites the Bay Area has to offer, Bay Area Car Service offers hourly shuttle rates, available upon request. We’ll be your personal car service, eliminating the need to wait for an open taxi to drive by and see you. Attending an East Bay convention or meeting with your co-workers? Consider our corporate services. Show up in a luxury sedan or SUV instead of a taxi, impressing competition and business partners alike. 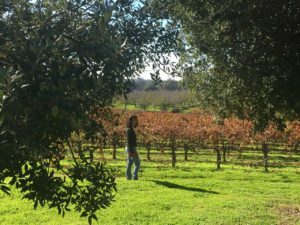 Tour the wine country with the love of your life! Focus all your attention on her while we take care of the details! Taking that special someone for a weekend in the Napa Valley area is hassle free with our East bay Car Service. Learn more about our Napa Valley Car Service. If you’re not sure about how long you want to stay? Not a problem, take a look at out Napa Valley Limo Rental Service. Reserve Your East Bay Car Service Today! Ready to book your East Bay Car Service? Call 1.800.380.9788. Reserve online and let us know where and when to show up 24/7!